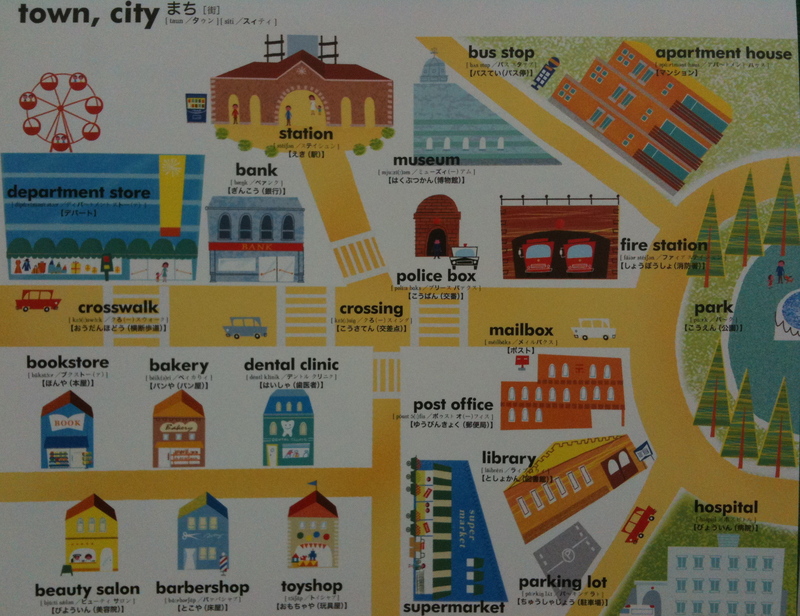 Categories: Beginner, Children, Low Intermediate, Vocab Building | Tags: English vocabulary, 英語の語彙, Vocabulary, Vocabulary building | Permalink. 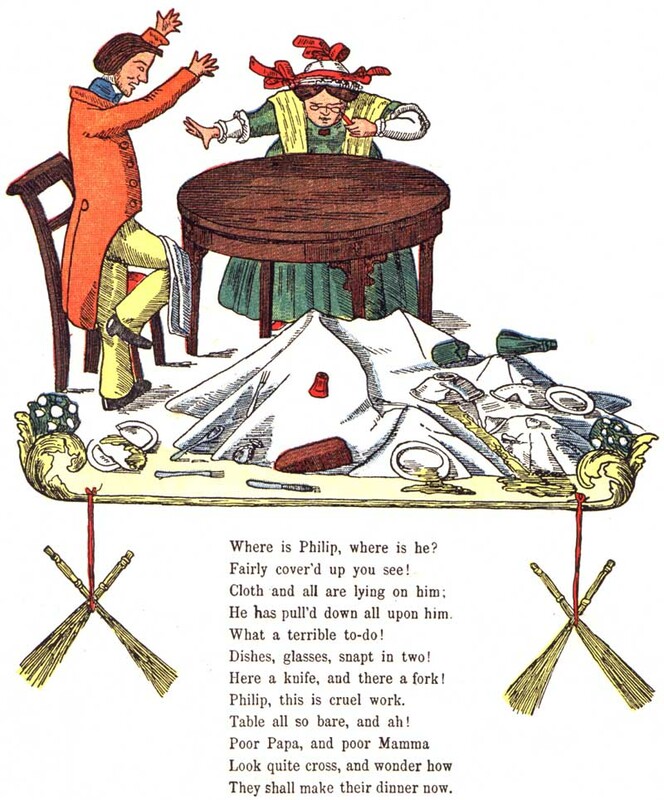 Categories: Books, Children, Comparative Cultures, Fun, German, Literature | Tags: Children's book, Der Struwwelpeter, Fidgety Philip, Heinrich Hoffmann, humor | Permalink. 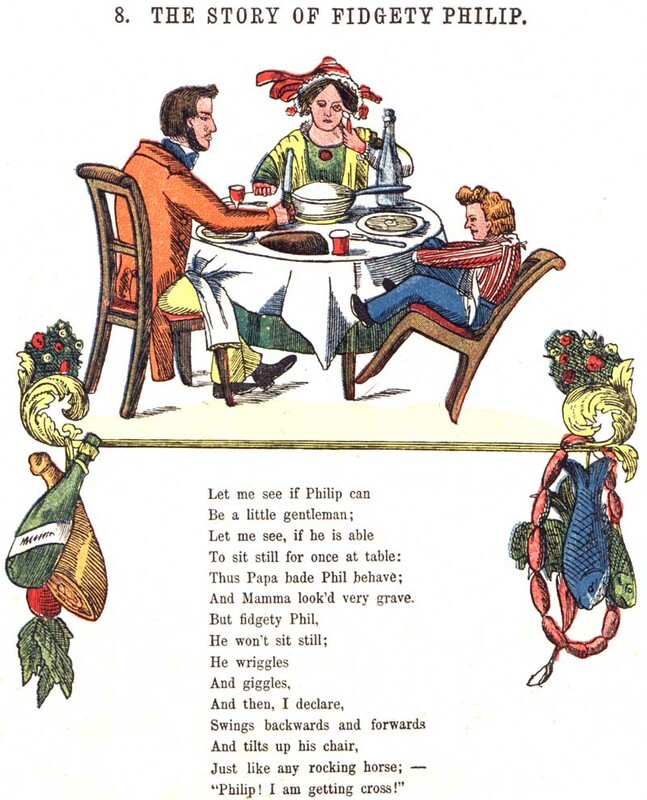 Hoffmann, a German psychiatrist, wanted to buy a picture book for his son for Christmas in 1844. Not impressed by what the stores had to offer, he instead bought a notebook and wrote his own stories and pictures. Hoffmann was persuaded by friends to publish the book anonymously as Lustige Geschichten und drollige Bilder mit 15 schön kolorierten Tafeln für Kinder von 3-6 Jahren (Funny Stories and Whimsical Pictures with 15 Beautifully Coloured Panels for Children Aged 3 to 6) in 1845. 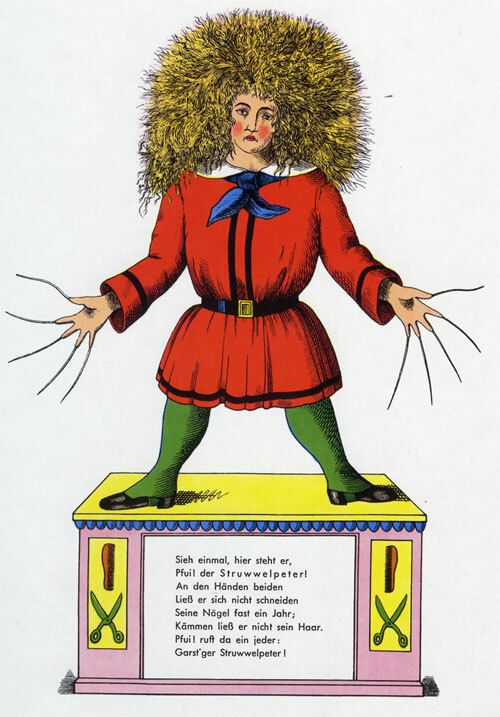 It was not until the third edition in 1858 that the book was published under the title Struwwelpeter. The book became very popular among children throughout Europe, and, writes author and researcher Penni Cotton, the pictures and characters showed a great deal of originality and directness. 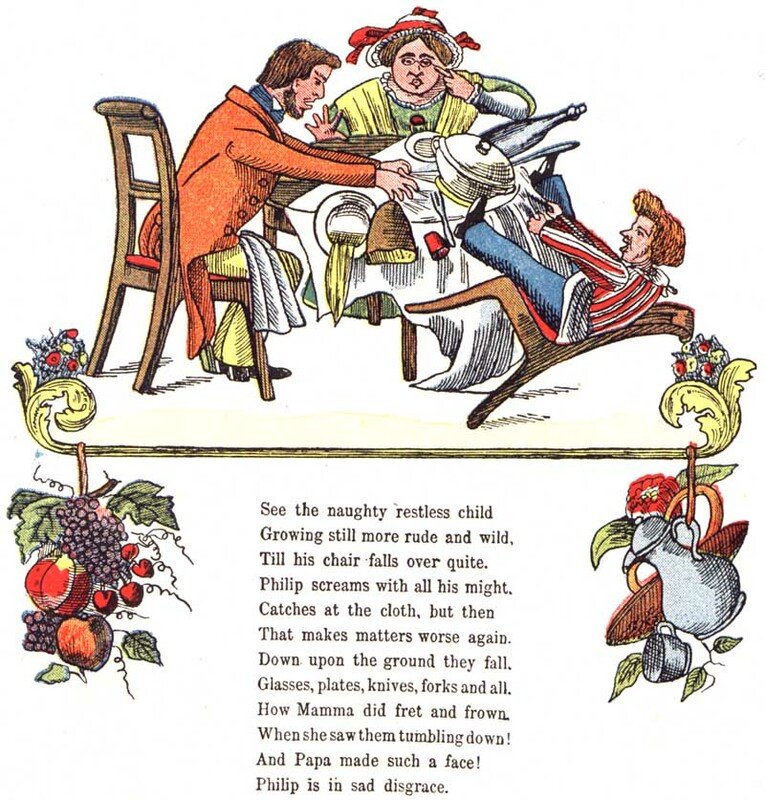 Struwwelpeter has been translated into several languages. The first English translation appeared in 1848. Mark Twain‘s English translation of the book is called “Slovenly Peter.” A link to an English translation of the entire book ishere. Categories: Advanced, Books, Children, German, High Intermediate, Intermediate, Literature, Low Intermediate | Tags: Children's books, Christmas, Der Struwwelpeter, German language, Heinrich Hoffmann, Hoffmann, Shaggy Peter | Permalink.